In 2015, I visited Costa Rica for the second time, and while at the Capitan Suizo hotel in Tamarindo, I saw a bunch of sporting goods and school supplies laid out on a table. 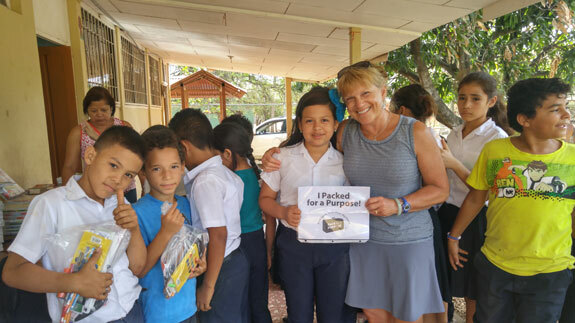 When I asked what they were for, I was told about, “Pack for a Purpose.” Then and there, I vowed that I would return in 2016 with an extra suitcase filled with supplies. Upon returning home, I looked up the “wish list” for the hotel’s schools, and decided to focus on art supplies (as I am an artist). I found a page on www.DickBlick.com where I could post the project’s needs and then send out a request for friends to help — they could either donate money to the site for the wish list, or directly buy what they wanted to donate. Thanks to generous friends, it was a big success, and in February, 2016, I took 50 lbs. 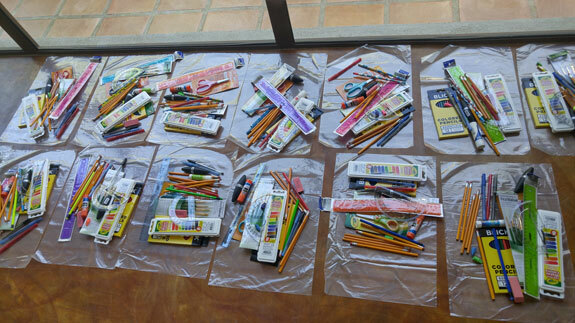 of art supplies to Costa Rica with me. 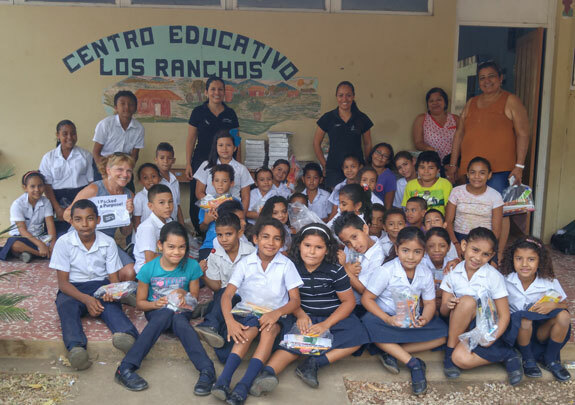 Along with Helen and Sonia, who are in charge of Capitan Suizo’s sustainability program, we divided up the supplies into individual bags for each student in each grade, K-6, at the Los Ranchos elementary school. The day we went to deliver the supplies was one of the best days of my life! The children were elated, the teachers grateful, and even the head of the community association came to express his sincere appreciation. I only wish I could go to each and every school in Costa Rica and do the same thing! It was an amazingly wonderful experience, and I especially loved all the hugs I received. I will definitely do this again — it’s such an easy way to make the world just a little bit better. Thank you, Pack for a Purpose, for providing such a lovely opportunity for people to be generous and kind. I am very grateful.